Having been a resident of the picturesque town of Sidney at the southern tip of Vancouver Island since 2003, Winnie feels fortunate to have raised her two sons Ben and William here. 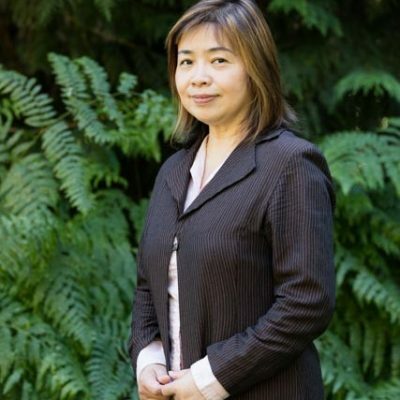 Before moving to Sidney, Winnie lived in Beijing, China and worked as a computer software engineer for 10 years and then a newspaper advertising sales manager for four years. Her people orientation, attention to detail and results driven skills have been polished by these years of professional activities, which once won her a Gold Medal of Science and Technology Progress Award issued by Chinese national authority, in recognition of her extraordinary contributions. Winnie’s passion for real estate is apparent to all who know her. Aiming at meeting or exceeding client’s specified satisfaction in terms of reaching a fully informed decision, Winnie truly believes that, as a REALTOR, her association with real estate should go far beyond just helping clients buying or selling their homes. In addition, she is willing to be a conveyor to provide them with up-to-date information on both the inside and outside the real estate market. As always, thinking outside the box in business is forever a secret of success. Winnie is a passionate professional who aims to inspire you with her vision. When you are looking for an honest and competent REALTOR who can provide both residential & commercial real estate services, she will give freely of her time, attention & expertise to achieve your goals. Contact Winnie now (also fluent in Mandarin).